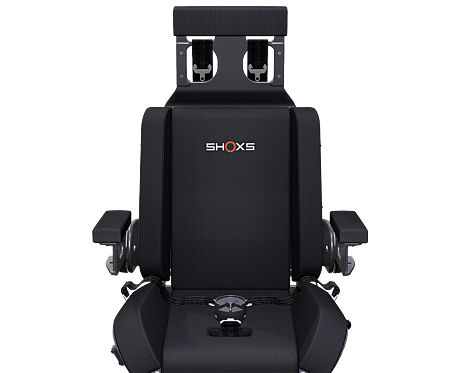 The SHOXS 3700-X8 combines a flip up helm seat with the latest in shock mitigated pedestal technology for seated or standing operation. 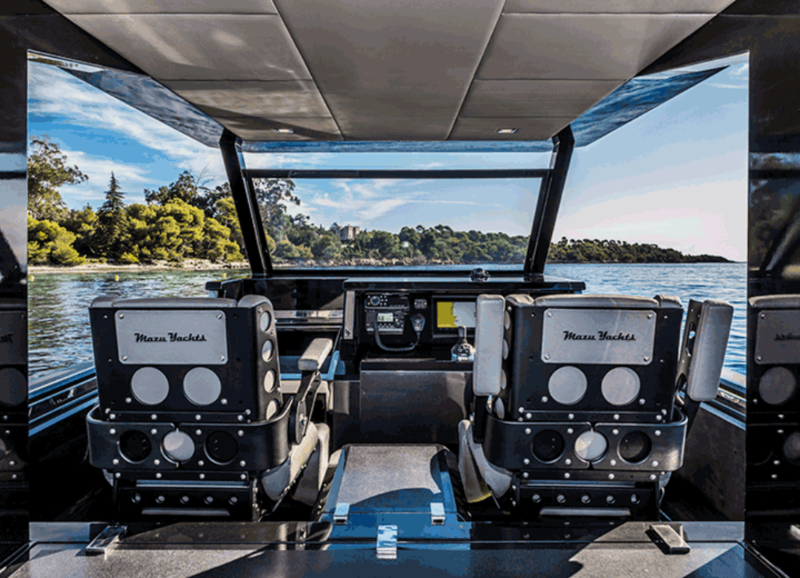 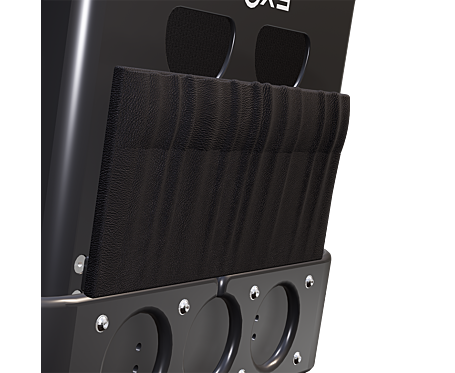 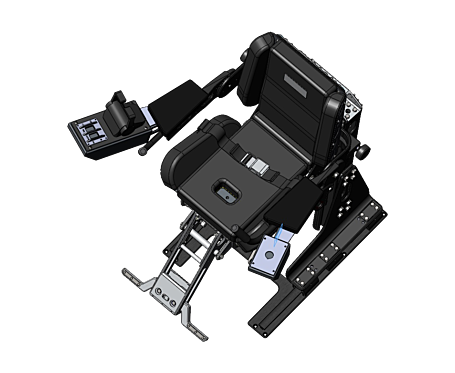 The combination of SHOXS bucket seat technology and the X8 pedestal together create a safe, shock-mitigated helm seat for cabin or center console vessels. 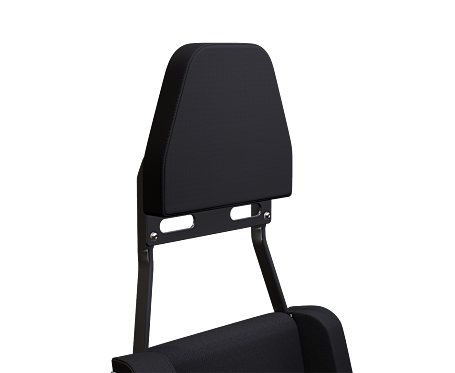 It features a fold up bolster cushion so the occupant can stand in front of the seat. 8" of suspension travel create a smooth, safe ride in rough seas. 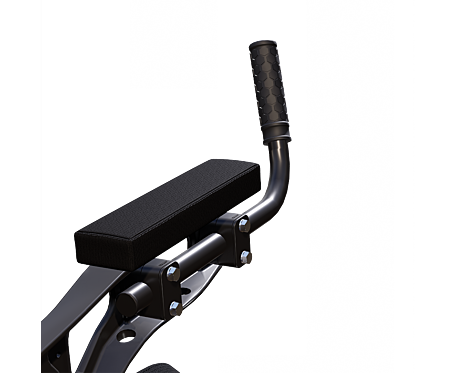 Couple the optional seat slider and the seat can be moved completely out of the way to allow for movement between the seat and the console. 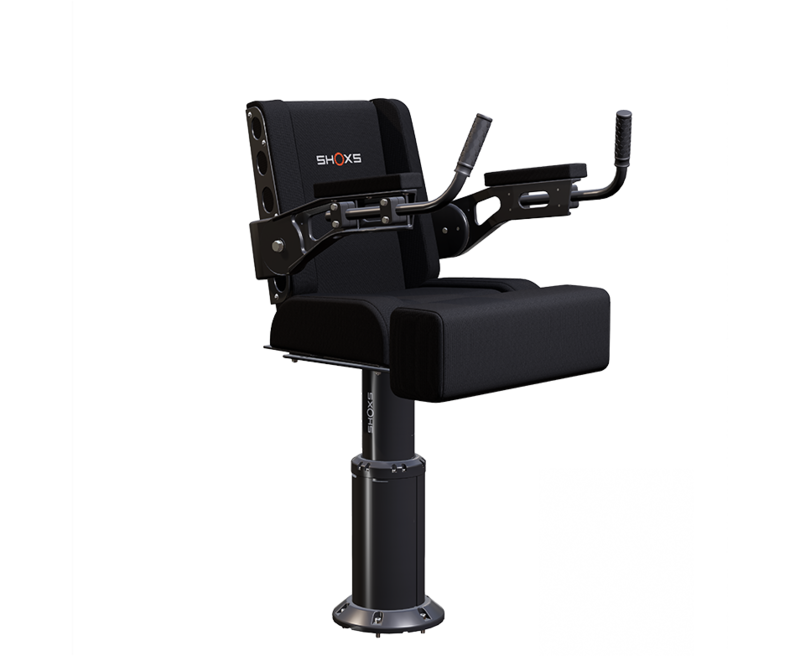 Custom upholstery options available.